Airplane noise can seemingly be tolerable, but loudness can vary between 85 and 115 decibels at take off. 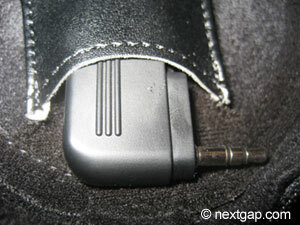 Which can lead to ringing and maybe hearing damage if done on regular basis (frequent fliers for ex) . The SONY Noise Canceling headphones are recommended for any air traveler, and especially for those who take trans-Atlantic or long international flights on a regular basis. These headphones are designed to dramatically lower constant humming noises – the ones that jet engines produce, and any other noise as well. The headphones use 2 means for doing that: 1 – the soft cup that covers your ear , and 2 – an electronic system that cancel noise by producing counter-noise on the same frequency. The major benefit of using these headphones, comparing to just plugging your ears or using other non-noise canceling ones, are that you can enjoy the offered entertainment on board, by plugging-in your headphones to the socket in your seat with the special provided connector (enjoy movies, listen to music, etc) and still enjoy low noise levels. If you need to talk or hear someone (stewardess for ex) you can just push the “monitor” button, that temporarily cancels the noise-canceling feature. 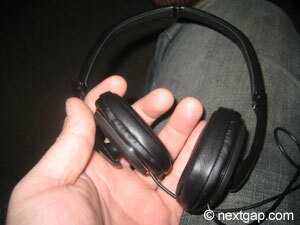 These headphones are quite comfortable and compact. They have great sound, so don’t forget they are still quality music head phones you can enjoy when you’re just listening to music in your home. 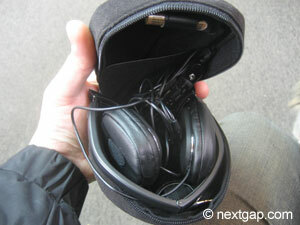 The SONY come with a nice semi-hard case, that contains an adapter plug and one AAA spare battery holder. Fold and store in the provided semi-hard case. 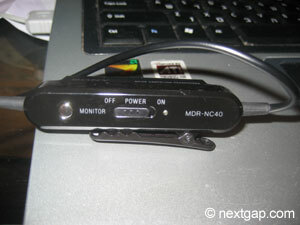 Power on-off, and monitor botton clip.